You are here: Home / Could this be the future for independent opticians? / Retailers Guide / 3D printed glasses / Could this be the future for independent opticians? Could this be the future for independent opticians? 3D printed glasses is one of the fastest growing categories of eyewear. Could offer the local optician new opportunities? In the past 20-30 years the face of retail has changed dramatically in many industries. And the optical eyewear industry is no exception. Big national or regional capital owned chains have made in roads into the markets shares of the local independent eyewear store. In for example the UK, privately owned local optical stores have seen their market shares go from above 80% in the 1980s to less than 27% in the recent years. In many other countries the situation is quite similar. Many local store owners are strugling to come up with tools to fight back against the power of especially the big discount chains. Some try mostly unsuccessfully to compete on price. Others know they must beat the big players by offering extraordinary customer service and a selection of brands suitable to the local area and which matches the taste of their target group. Finally, it is important to offer brands not sold by the big chains already. One of the new exciting categories which is making headlines across the world is 3D printed glasses. It is providing the independent optician with a new weapon not availble in the chain stores. Companies like Mykita and Monoqool have lead the way as pioneers in this new type of spectacles. 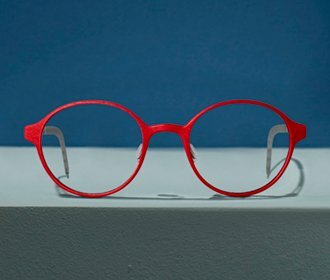 The lightweight of the glasses – frames weighing down to 4 grams – and the fact that the 3D print technology allows Monoqool to make innovative glasses completely without any screws or soldering are some of the factors increasingly winning over more end consumers. Lisa and Bob Martinsson run two independent stores – Glance Optics in Salem and Lake Oswego in Oregon. Their recipe for success has been a cocktail of offering cool European eyewear in combination with offering an exceptional service level in the stores. For them 3D printed glasses has been a positive expansion to their selection of brands. “3D printing appeals to everyone. The weight and innovation are very intriguing, but at the end of the day it’s the great shapes that makes the sale”, says Lisa Martinsson. Although 3D print technology dates back more than 30 years it is only in the recent years that 3D printing has been used for end user products like 3D printed spectacles. Starting from polyamid powder which is then hardened via a laser layer by layer, the 3D printed glasses are finished. Typically, to run a batch of 100-200 glasses – possibly 200 different glasses in one batch – takes up to 24 hours including heating, printing and cooling down the batch. After the glasses have been 3D printed a complex and quite manual process of polishing, coloring and coating starts. One of the big advantages of 3D print technology are also the logistics and speed. Most traditional glasses are manufactured in Asia today due to the need for manual work to make glasses, but 3D print technology allows a company like Monoqool to produce glasses closer to home – in Denmark. Also the flexibillity of the 3D print technology creates a logistical situation very different from the rest of the industry. 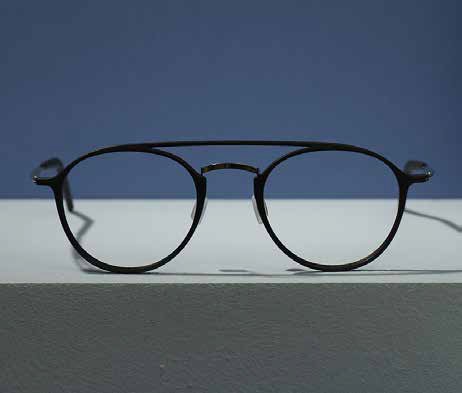 The 3D frames can be made almost ‘on demand’, and in small quanitities compared to ways of making traditional glasses. This helps avoiding one of the pains of the eyewear industry – the huge excess stocks which are often disposed off. For the opticians the advantages of 3D printed spectacles are not only limited to the low weight and flexible designs. Delivery time and precision is often much better than for traditional metal or acetate glasses. 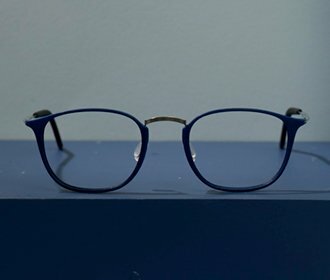 3D printing also allows a company like Monoqool to come out with new frame styles more frequently than most other eyewear makers. 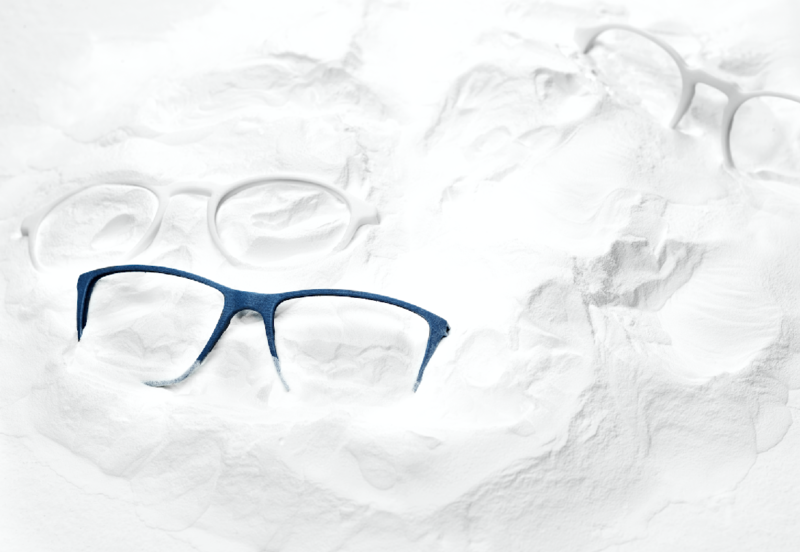 The company launches new frames 4 times of the year and more than 150 new frame variants per year, ensuring that there is always something new and exciting in the optical stores who carry the brand. So how does the future look for 3D printed eyewear? According to Monoqool, the 3D print glasses trend is just at it’s beginning. 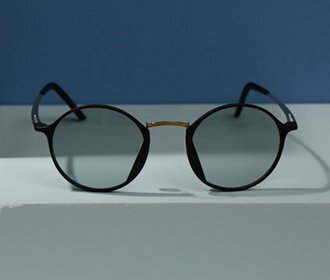 Several other frame makers have jump on the ‘3D train’, and also the possibility in the future to offer custom made glasses is intriguing.